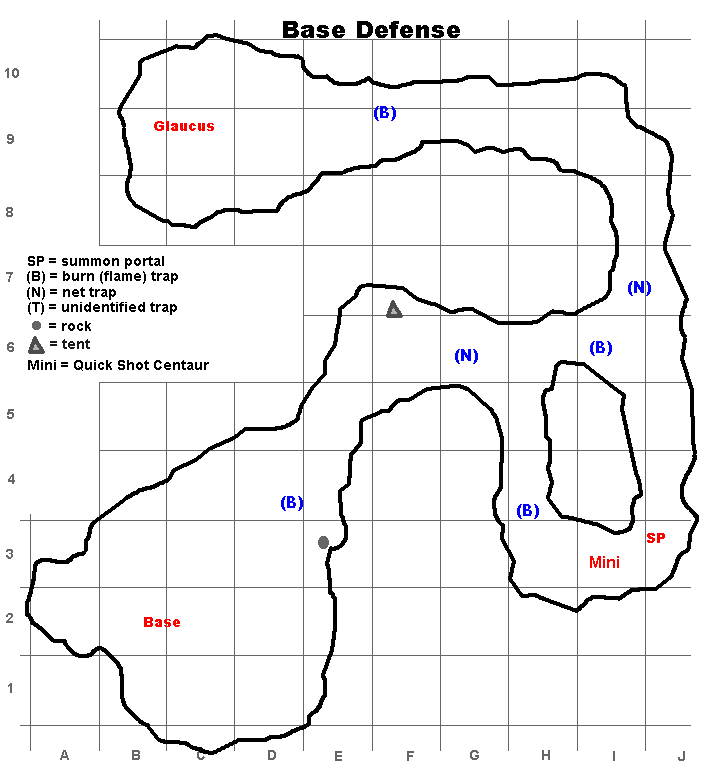 Base Defense is a mission which is related to Scouting Party, the lvl 50 TBS mission. The map is small and the mission is straight forward. The new element introduced in this mission is the summon portal in the forbidden zone. In an earlier version of this article I stated: “Luckily you don’t have to do a thing about it because the monsters summoned there are only trickling in pairs out of that zone and can be easily managed.” After several alts of mine have tackled this mission I have now changed my view of this: It is advisable to destroy the summon portal after all. The following remarks assume that you are familiar how to do Scouting party and have read my article about that. 1. You move carefully into position, all the while upgrading, until your witch is ready for a lusty meteor strike. 2. Then move forward, upgrade the rest as you go and implement the Scheme Of Immediate Doom (SOID) as explained in my article about the Scouting Party. Now you may observe (at least I did) that a meteor strike does not kill all monsters outright. But they are nearly dead, so let your catapult and main help. 3. Try to not waste your meteor strike on the 2-monster-group which moves directly to you. These two guys are the summoned monsters by the portal. 4. You will move a lot to and fro – so try to disarm all traps. When doing Base Defense I assume that you have no scrolls to do that. So you must run intentionally into them under controlled circumstances. See the video below how to do it (and in some cases: how not to do it). 5. Approach the summon portal from J6 (the second junction). 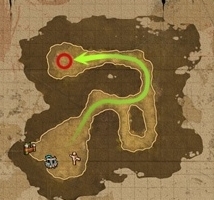 This way you can destroy the summon portal before you aggro the mini-boss (Quick Shot Centaur). If you are doing it very well you can destroy the summon portal without aggroing the monsters around it. If you achieve that you can them leave be – they won’t attack your base. The video below shows what happens if you make a mistake and have to kill these monsters with the summon portal still standing. But luckily it shows also that the mission can be done even then. 6. Glaucus, the final boss, unleashes hell – literally. He commands over a nasty fire spell which does not only look impressive but does considerable damage. Like your witch’s meteor strike. So beware: spread out. If you keep in mind that you only move into your enemies when your witch is meteor strike ready you can easily finish the mission soloing in squad mode. Patience is your virtue here. That will take a while – this week’s low level mission with my main character will be No Safe Harbour. Next week it would be 1000 arrows. What if i wont destroy the Summon Portal? Summoned mobs going to ambush me or they will destroy the base? In this mission the summoned mobs do not much. They go after you but they are not many (in my experience: pairs) and spawn rarely. I tried it 5 times already and it’s always the same.